It was a real treat for flea-market lovers on 24 and 25 September. Public Garden Consumer Trade Show held at Suntec Convention Hall 403 gathers the best of progressive brands and home-grown designers from the region. The event was held just from 1pm to 7pm and I was pleasantly surprised by the great turnout. I have seen flea markets that managed to attract lukewarm crowds but definitely not here. If you are appreciative of independent labels and brands from Southeast Asia, you are sure to come and walk away fully satisfied. Look at the massive turnout. Participating regional brands are specially invited to this event. For the first time, we can get to see many products designed creatively and layout for shoppers who are looking for a different retail experience. Let’s take a tour to see some of these cute products on sale. Apparels. Tops. Bottoms. Dresses. One-Piece. Outerwear. Bags. Shoes. Shoppers with penchant for these are going to have a hard time to choose! Charcoal Bar Soap, Himalayan Salt Bar Soap and more by Dappers. DIY craft ideas for gift giving. A nice touch. Sale of plants and bring home a mini-world full of lush and beautiful plants in the form of terrarium. Remembering Singapore in the 70s and 80s. Game to play Tikam-Tikam? Magnets with Singapore theme at $3.90 each. We particularly like these wooden utensils and bought some back. These are made in Thailand. 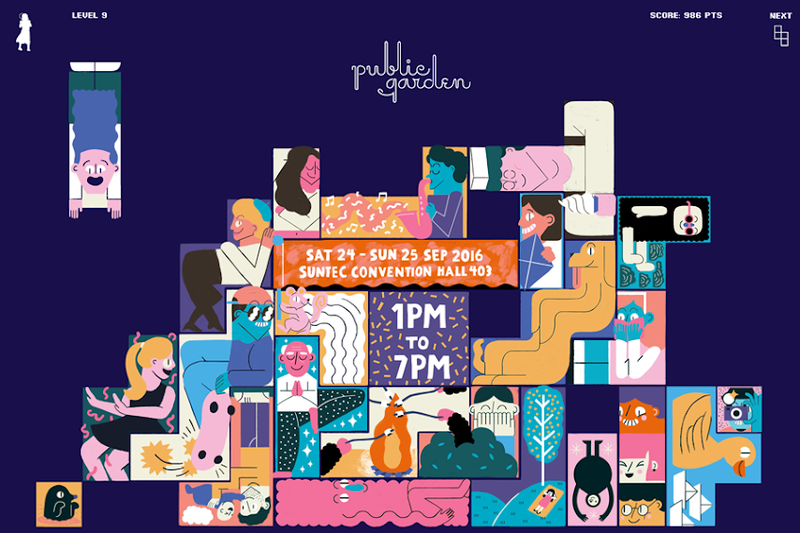 Public Garden Consumer Trade Show is a very well-planned event that can be summed up as an eye-opener for shoppers. Looking to get something exquisite or just want to immerse into the atmosphere of browsing goods from the region, get connected to The Public Garden here. Previous postFamily-Friendly Activities at Millennia Kids Challenge!